Science education is one of the cornerstones of high school education. 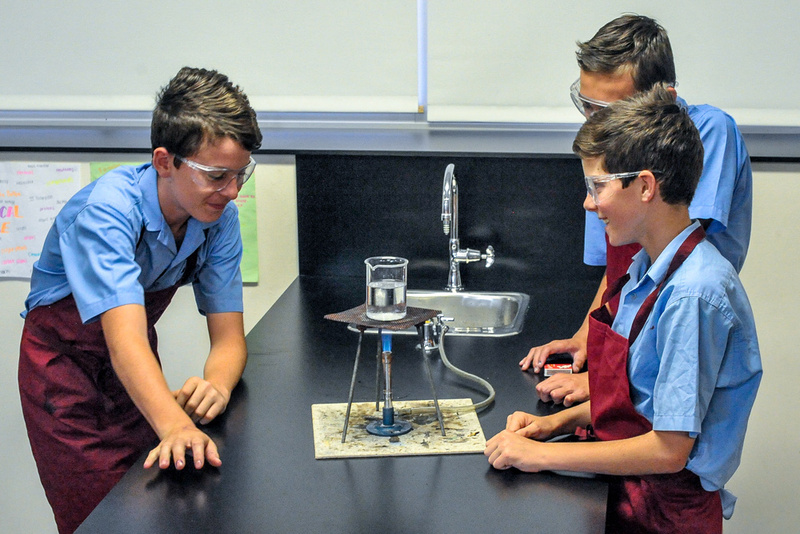 At St Mary’s College we endeavour to actively engage our students in their learning. Students are offered a wide range of extra-curricular activities to complement their formal learning. St Mary’s has four well equipped Science laboratories. The three “wet labs” were designed to maximise student learning and safety. In each of these labs the central classroom is surrounded by practical benches with plenty of room to leave experiments set up. The fourth laboratory is a specialist Physics facility. Computer technology is integrated into lessons with the use of Smartboards in each laboratory, data loggers, laptop computers and a permanent computer lab. Agriculture is part of the Science Department. A small agricultural plot is located within the school grounds. This area has a glasshouse, shadehouse, raised garden beds, aquaponics units, poultry, poddy livestock, wormfarm and composting bays. A larger agricultural plot containing cattle yards and cattle feeding facilities is located within a 5 minute walk from the school. Cattle showing is an integral part of the program. Agriculture is offered as an Elective in Years 9 & 10. Students in the senior years have the opportunity to select specialist subjects with a view to higher education, or to participate in courses which give a broad range of experiences and give a background of scientific knowledge. HSC Science subjects offered at St Mary’s College include: Agriculture, Biology, Chemistry, Physics, Senior Science and VET Primary Industries. 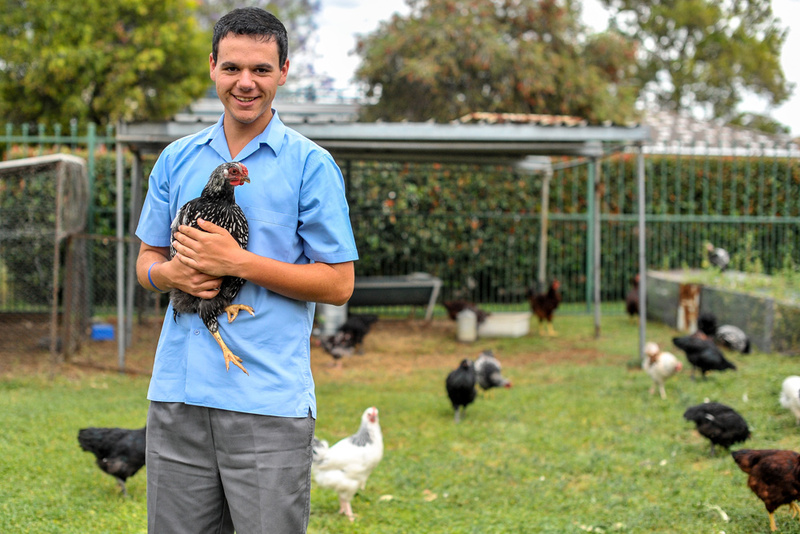 Students at St Mary’s College have a strong tradition in the Agricultural subjects. Students in Years 7 and 8 gain a “taste of Agriculture” through the Design and Technology program. 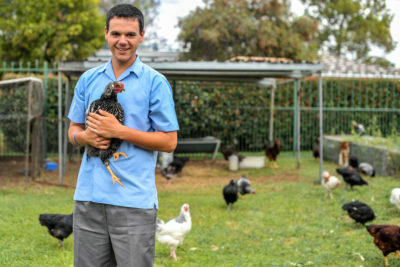 Students in Years 9 and 10 are offered Agriculture in the electives. Four different 100 hour courses are made available to the students. This allows students to specialise early in this subject. At HSC level both Agriculture and Primary Industries are able to be studied by our students. Agriculture has a Science base allowing students to readily move into tertiary studies in Agriculture. Primary Industries is a school based vocational course that allows students to gain skills and qualifications that assist them in employment. The Agriculture program gives students the opportunity to participate in a wide variety of areas including aquaponics, horticulture and poultry. Over the years the students have also had a great deal of success in showing and judging cattle. Students from St Mary’s College have won the Junior Judging events at state level and in 2013 one heifer prepared and presented by the students took out Grand Champion in the Trade Cattle section of the Royal Easter Show. This beast was awarded the first gold medal ever awarded for eating quality in this open competition. Students also have the opportunity to extend their Agriculture by participating in a range of camps made available through Rotary and the University of New England.